There are potential clients looking for your firm right now. How will they find you? Through the use of search engine marketing you can increase the chances that quality leads will come your way. Many firms struggle to get their name in front of the appropriate audience. By applying search engine marketing, your audience will come to your firm. Leveraging search engines is one of the most effective online marketing techniques. SEO, or search engine optimization, applies specific keywords and phrases to help users of search engines find what they need. In the case of a firm or other business, these keywords and phrases can greatly improve your accessibility and notoriety online. By using these steps, potential clients will more easily locate your business. Search engines can be used to attract clients in certain geographic areas, in certain income ranges, males or females, and much more. Using a knowledgeable partner who specializes in search engine marketing can make a huge difference in the success of your online campaign. From a patient’s perspective, having the ability to research and find surgeons can be invaluable. Patients want to know which surgeons would be the best for their procedures using their own criteria. Some patients may be looking for nearby surgeons while others are willing to travel if the surgeon is considered among the best in their field. In any case, surgeons should have their medical practice information available online and easily found for potential patients who may need their services. Search engine marketing is arguably the best tool available to help surgeons promote their practices online. With the proper use of search engine marketing, potential patients will use certain keywords and phrases in Google, Bing, Yahoo and other sites and then find the surgery practices that best fit their needs. Identify your target audience – clearly outline certain traits that would define your ideal patient. This can include income levels, geographic area and other demographics. Research keywords and phrases – based on your target audience profile, review the types of keywords or phrases that would most likely be used. Google analytics and other tools can be helpful in performing this research. 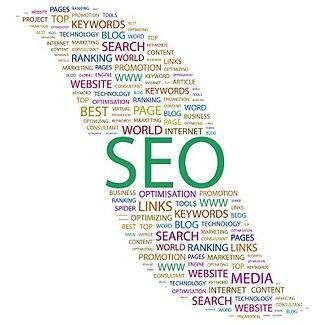 Implement SEO – several areas of your online communications should be tuned for search engine optimization (SEO). This would include your medical practice website, social media pages, blogs, e-books, and other online sources. The keywords and phrases should be a routine part of the online sites that represent your surgical practice. Review and tune – carefully monitor the results from your SEO work and be prepared to fine tune your sites and other online tools to increase your success. Monitoring can include web site hits, “likes” on social media, e-book reads or subscriptions and more. Because surgeons are often extremely busy, it is best to utilize an experienced search engine marketing provider to coordinate this implementation. Using an online marketing provider who specializes in medical practices can help you to make the most out of your online marketing investment while also improving the success of your surgical practice. As more people strive to achieve a healthy life style there is an increasing need to find the best doctors to help them reach their goals. Regardless of specialization, doctors across the spectrum should realize that there are potential patients seeking their unique skills and abilities. Therefore it is essential that doctors utilize the best techniques available so that potential patients can find them easily. Search engine marketing is one of the best methods for physicians to promote their practice, build their recognition and increase their reputation. As more practices create an online presence, your particular practice should take full advantage of the opportunities available through search engine marketing. Better recognition - many medical practices rely on patient referrals in order to grow. Through online marketing the referral process becomes much easier and you can reach a larger audience of potential patients. Social media attention - part of your online marketing strategy can include social media activities such as Facebook pages, Twitter posts and other items. Because social media sites have become a strong hub for communications your medical practice can be recognized even more. Greater reputation - utilizing blog posts, e-books, email newsletters and other online techniques can help to build your practice as an authoritative source for your particular specialization. As reputation grows so will your search result rankings and the number of new patients. Doctors have hectic schedules and may not have the time or resources to establish a working search engine marketing strategy by themselves. Look for an experienced partner who can provide the online marketing services needed to create the best approach for your unique practice. For more information please call us directly or click the button below and we will contact you. Thank you. There is a great deal of hype around search engine marketing. Many firms are bombarded with sales pressure and advertisements to use search engine optimization (SEO) and other online marketing tools. But is there any real benefit to using search engine marketing? For ages there has basically been just one marketing approach, which was outbound marketing. This entailed nothing more than “hanging a shingle” and placing some ads in the local phone directories. This approach would “hopefully” attract a person or a business which would generate a lead. Unfortunately, outbound marketing was nothing more than casting a net in murky water – you never know if you will catch anything. Search engine marketing, on the other hand, provides much better odds for firms to get qualified leads that will convert to customers. This newer “inbound marketing” technique has proven to be very effective and with a higher ROI than traditional marketing. Examine the type of potential client that you would prefer to attract. Consider income level, geography, and other demographics. Build a “target audience profile” from this information. Use the target audience profile to build a series of keywords and phrases that this target client may use to search for your business. Search engines such as Google, Bing, Yahoo and others have tools to recommend keywords or you can develop your own. Create online content that leverages these target keywords and phrases. Make sure your web site, blogs, e-books, social media and other online avenues use these keywords. Monitor your search rankings when using these keywords and determine if your ranking improves. This would mean your firm would be more likely to appear towards the top of search results. Tune your keywords and phrases on a regular basis to make sure you capture the most successful terms and discard the keywords that are no longer applicable. With this information you can then leverage PPC (pay-per-click) advertising and other options to increase the number of leads. Review the types of leads that come in from online prospects. Note any increases or decreases in the quality of leads, and be prepared to adjust online keywords when necessary. 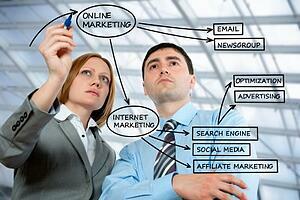 Search engine marketing involves much more than picking a few keywords and using them on your web site or blog. There is a strategy behind search engine marketing that incorporates several techniques that work with each other to increase your search rankings and improve your lead generation. SEO - as a foundation of search engine marketing you must implement search engine optimization by analyzing the ideal keywords and phrases to use in your online content. Keep in mind that SEO should be an ongoing exercise, not a one-time implementation. 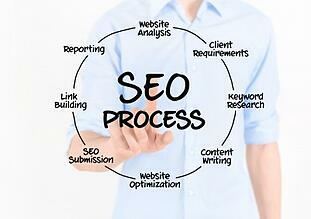 Review SEO regularly and continue to tune search terms and phrases for the best success. PPC - pay per click (PPC) is a very effective technique when used properly. PPC can bring you immediate results with increased web site traffic, higher search rankings, and more leads. PPC should be carefully managed, however, in order to avoid going over budget or using search terms that are not drawing the right leads. Social media - one little known area of search engine marketing is how social media can factor into your search rankings. Through quality posts and increased activities on social media sites such as Facebook, Twitter, LinkedIn and others you can realize a boost to your search rankings and higher quality leads. Content - by applying strong content management to your online activities you can blend all online techniques together for even greater success. From web site content to blogs, Ebooks to articles and email newsletters you should carefully consider your online content to make sure it sends a consistent message that aligns with your marketing strategy. 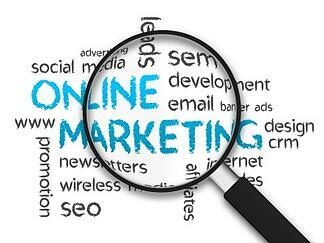 Arguably, search engines are the most effective online marketing tool available. The vast majority of online customers will use a search engine first before looking anywhere else for a purchase decision. For more information please call us directly or click the button below and we will contact you. Thank you.